Over the past ten years, Vietnam-born Swiss photographer Cat Tuong Nguyen has gained international recognition for his highly individual, intelligent, and poetic work. Nguyen’s photos confront viewers with strange, humorous, and mysterious images, challenging them to investigate their everyday reality. 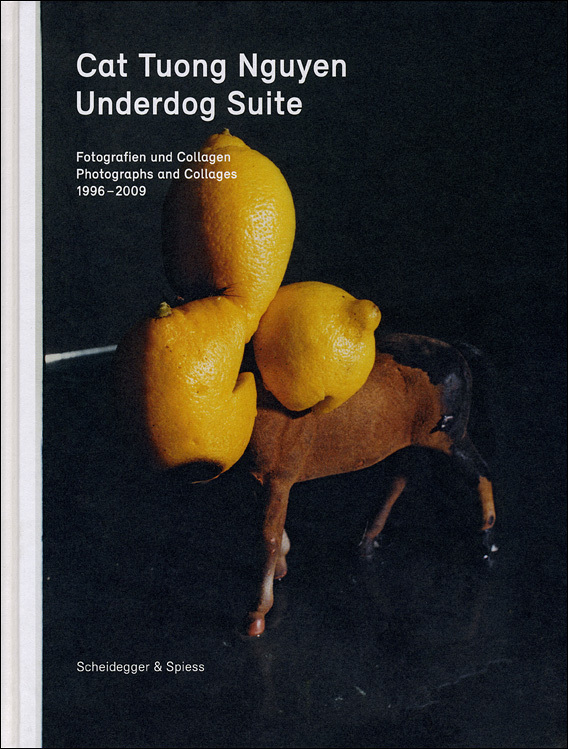 The first book to collect Nguyen’s art, Underdog Suite brings together in one volume his photographs, collages, and unique painted-over magazine pictures. Arranged in an unconventional and highly original manner that mirrors Nguyen’s own unusual approach to art, Underdog Suite presents nearly the complete oeuvre of this extraordinary young artist. Far from a mere monographic overview, it is, rather, a book-shaped self-portrait of an artist who reacts with great intelligence and lyrical sensitivity to his everyday world—and reflects this sensibility and curiosity in his stunning images. A beautiful and unusual book, Underdog Suite introduces the work of this rapidly emerging artist to a larger audience.